Fanastasias, assemble! This month marks the 20th anniversary since the release of the animated film Anastasia. 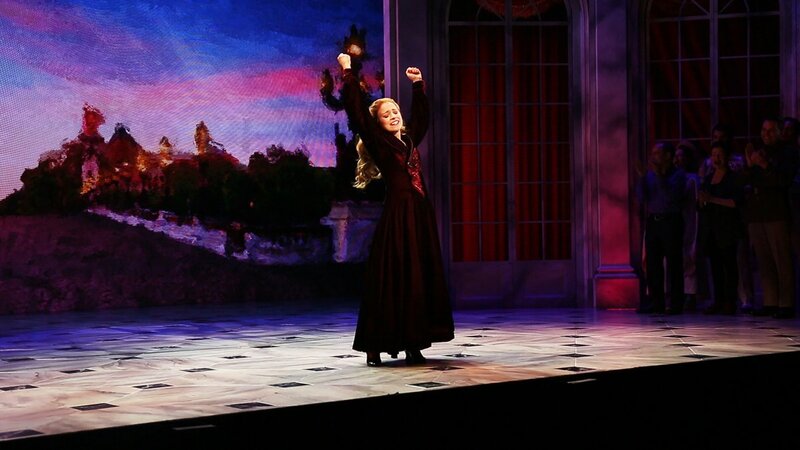 Now, the Lynn Ahrens and Stephen Flaherty musical is wowing audiences eight times a week in full-fledged Broadway musical form at the Broadhurst Theatre. On November 29, leading lady and former Broadway.com vlogger Christy Altomare took the stage for a very special performance of "Journey to the Past" in honor of the movie's anniversary. Following the matinee performance, she offered her golden pipes to a special encore of the Oscar-nommed song accompanied by the animated film projected behind her and the full orchestra live from the Broadhurst stage. Take a look at the amazing performance below!